We service and repair all types of band from flutes to tubas. 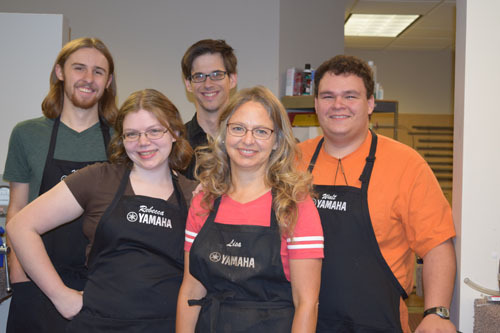 Our professional team works full-time to ensure that your instruments are cared for and provide the best possible musical experience. Our rental customers who enjoy our VIP insurance pay no additional cost or deductible to have their instruments repaired or replaced if necessary. Lisa Larimore is the Band Repair Shop Manager at Dunkley Music and has over 17 years of band instrument repair experience. She received a Bachelor’s Degree in Music from the University of Witswaterstrand in Johannesburg, South Africa. She plays the alto saxophone and was the founding member of the Irving Saxophone Quartet in Irving, Texas. Currently, Lisa plays the alto saxophone in the Treasure Valley Concert Band. She is a member of the National Association of Professional Band Instrument Repair Technicians, Inc.
Walt Jones has been repairing band instruments for 4 ½ years and has been with Dunkley Music for 3 years. He plays the tuba and euphonium. Walt received a certificate in Band Repair and then received an Associate’s Degree in Applied Sciences specifically in Instrument Repair Technology from Renton Technical College in Washington State. He has been member of the National Associate of Professional Band Instrument Repair Technicians, Inc since 2012. 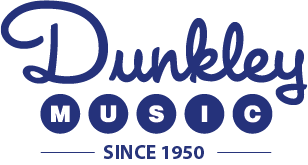 Philip Kassel began working in the band repair shop for Dunkley Music in 2013. He has received a Bachelor’s Degree in Music from the University of North Carolina at Greensboro and a Masters of Music degree from DePaul University in Chicago. An active performer, he currently is the Associate Principle Horn player in the Boise Philharmonic and performs frequently across the country with the Chicago based brass quintet Gaudete Brass. In the summer, you can often find him playing in the orchestra pit at the Idaho Shakespeare Festival. In addition to his performing schedule, Philip teaches french horn lessons at the Esther Simplot Performing Arts Academy. Rebecca Matson is one of our newest additions to the Band Repair team. She graduated from Renton Technical College with an Associate’s degree in Band Repair Technologies. She has experience in extensive woodwind repairs including Tenon grafts, socket graphs, rebuilding tone holes and re-facing mouthpieces. Rebecca also enjoys playing the clarinet and saxophone. The tenor saxophone is her favorite type of sax to play. She is a member of the National Association of Professional Band Instrument Repair technicians, and attended the 2016 NAPBIRT conference. Matt Patterson is the newest apprentice in the band repair department here at Dunkley Music. Currently studying Music Education at Boise State University, he is no stranger to the world of music and band instruments. While at Boise State, Matt has performed in Symphonic Winds, The Blue Thunder Marching Band, multiple chamber music ensembles and various jazz groups. Outside of school, Matt teaches private lessons, has played around the northwest with a rock/funk band based out of the Boise area and has performed with various honor bands and other local performing groups in the valley. One of the many band repair services we provide is a deep cleaning of your brass instrument. The Ultrasonic Cleaner replaces a traditional chemical clean, giving your instrument a better less abrasive clean. It’s the best way to have your brass instrument cleaned. The ultrasonic cleaner uses sound waves that vibrate through a cleaning solution to dissolve deposits and oils that do not belong. There are many benefits to having your instrument deep cleaned with the ultrasonic cleaner such as, it is environmentally friendly, replaces harmful acids and chemicals, prolongs the life of the instrument, thoroughly cleans inside and out and it can clean most sized instruments. Contact us today for a free estimate on what it would be to clean your brass instrument today. We pride ourselves on being current with new techniques and products in the band repair profession. In May 2016, Lisa Larimore completed a workshop and was certified in using Straubinger Flute Pads. The workshop was taught by the owner of Straubinger Flutes, Mr. Dave Straubinger. These flute pads were designed specifically for hand-made flutes. Because of the materials and techniques used, the Straubinger pad overtime becomes more stable versus the traditional flue pad which becomes unstable and requires more adjustments. The durability and quality of these pads are perfect for handmade flutes and the concert flutist.